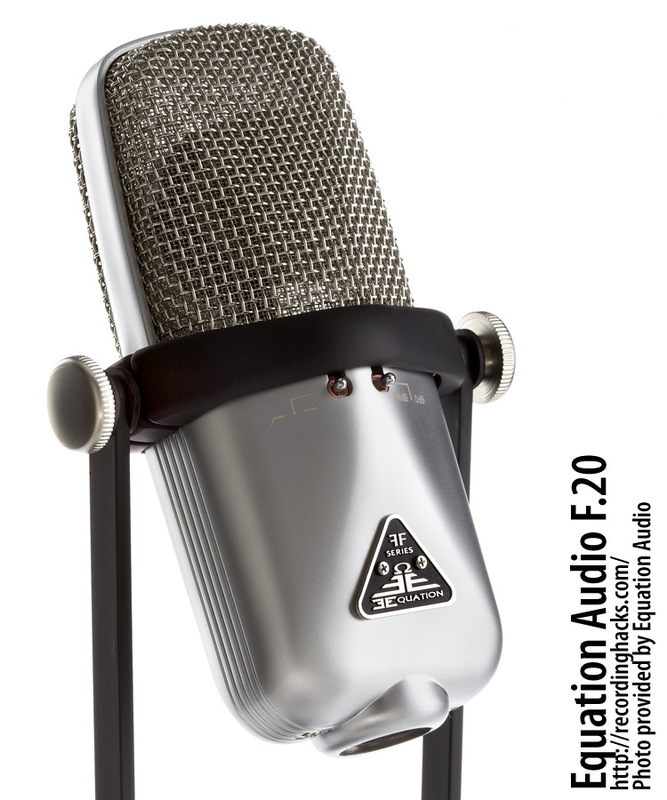 The F.20 is a distinctive FET condenser microphone with a fixed Cardioid pickup pattern. The proprietary head-amp circuit, designated “HR-2295,” is a low-noise, transformerless design. It was designed with inputs from the original CAD Equitek engineering team, and Fred Cameron’s legacy of high-end microphone amplifier designs. We hope to publish more information about this amplifier circuit in the near future. The mic uses a 24mm electret (permanently-polarized) condenser capsule with a 20mm diaphragm made of gold-sputtered 6-micron Mylar. The diaphragm is center-terminated. Two microswitches on the microphone body optionally enable a pad (-16dB) and/or a high-pass filter (-12dB/octave @ 80Hz). At 52.5 mV/Pa, the F.20 is among the highest-sensitivity, highest-output microphones we have seen. One benefit to this design is that very little preamp gain is needed, which means the user need not invest in a high-end preamp to get good use from this microphone. The microphone’s stated self-noise level is 11dBA, which, unusually, was measured with the capsule attached to the amplifier circuit. The self-noise of the amplifier, once isolated, would likely be even lower. Considering the high sensitivity, the effective noise level of this microphone is negligible. The mic is mounted within a rubber ring suspended within a yoke mount, facilitating placement in any desired position. 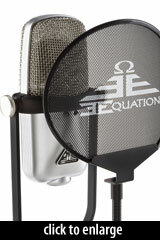 Equation Audio first announced the V.20 in 2006, produced prototypes for testing in 2007, and began production in December, 2008. The F.20 ships with its shockmount and a metal-mesh pop filter (with gooseneck arm) in a foam-lined “Fender tweed” gig bag. First up for the F.20 was vocals, comparing it to several vocal mics in its price range and a few costing three times as much. The results with the F.20 were very nice; in comparison to the other mics I auditioned, it had a smoothness to the frequency response the others couldn�t match, especially on female vocals. …Equation Audio aimed for a lot of versatility in the F.20. 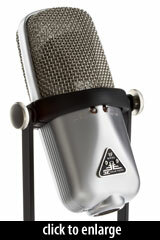 They aimed to make an AKG 414-type of microphone, yet more versatile, more forgiving, and at a lower price point. In my opinion, they have accomplished that goal. 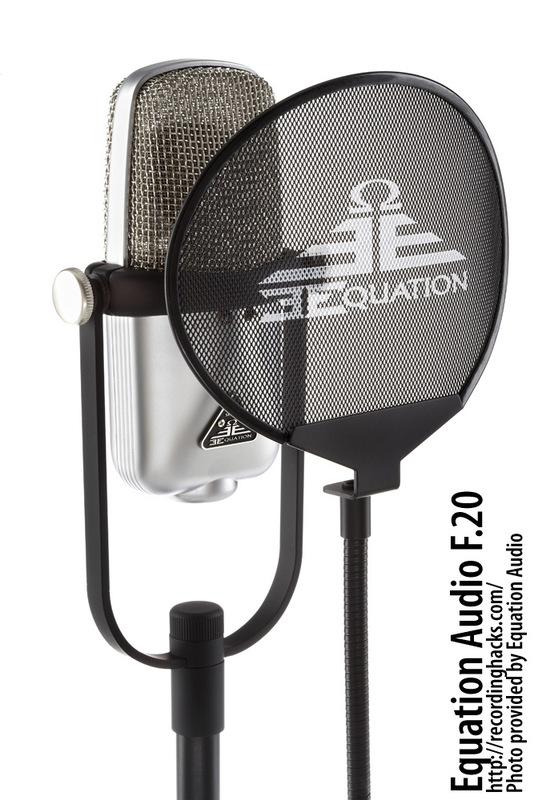 The Equation Audio F.20 is also known as: F-20.